I want LULA if possible!!! LOVE THEM! I think Lula is adorable! Vote number 3 for Lula – they are all wonderful but I love the green! Amazing, Hillary. As always in inspiration. 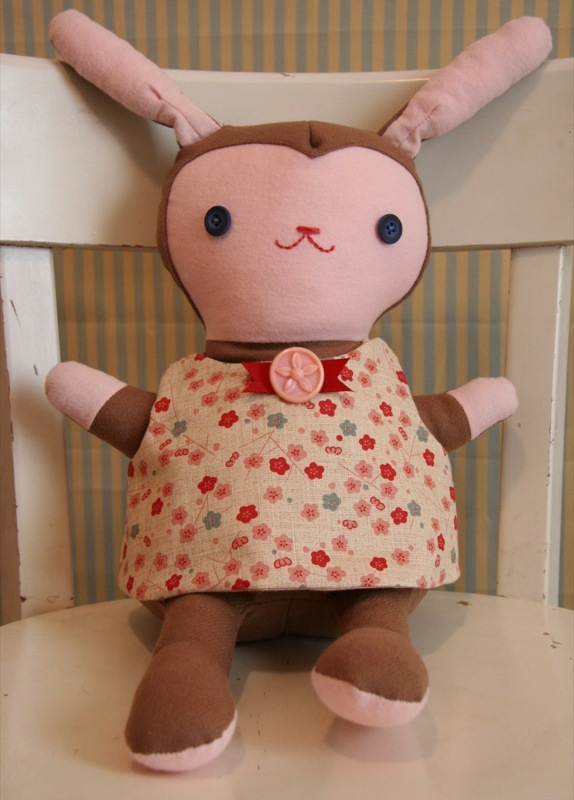 I am getting back on the sewing machine today after too many days away. Good news is that I am coming back with wonderful finds off of Grandmas sewing shelves. i love them all, but Dottie is my favourite ! love her apron. Lovely! I would wear that little top if it came in my size! Very cute and fashionable! I love Pearl’s dress! Great choice of fabrics! they are divine, i just love them all. too cute for words. the tails are perfect! and love the button. . .
these are so great! i love those dresses and the faces on these are so great!! that straight line nose is just perfect. What a wonderful job!!! I’m not sure which one I like the most…..I love the three of them!! 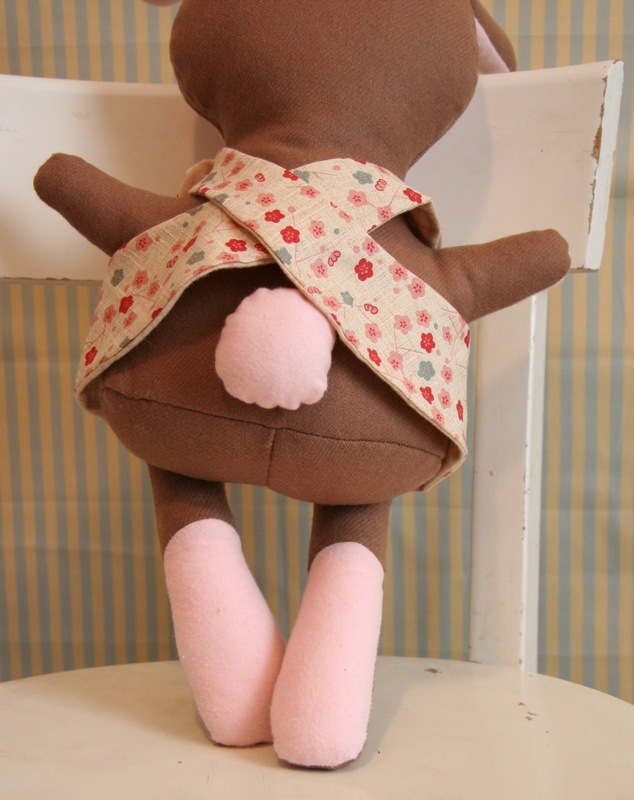 Awe < does anyone have the pattern for these , I would love to try to make some as gifts , they are sooo cute. :O). wow! that was FAST!! you super star! They are all so precious! I love love love the green guy! Super adorable! AH! You did the cross back! Wooooo-hee! What cuties!!! So huggable, and their peek-a-boo jumpers are very clever. oh my! it’s the little “pom pom” tail that just puts it over the top. too cute! my heart goes out to pearl, after all, that is my daughters name. Okay it has now become more than obvious to me that I must not ever be away from the computer!! I would have to vote dottie, but it is awfully tough to say!! Love them! They’re gorgeous! I love Pearl and they all have such lovely buttons! the pink one is my favourite! I’m in love with your site. It makes me squeal. Is that wrong? Don’t know how I came by wee wonderfuls but it’s a gorgeous site! 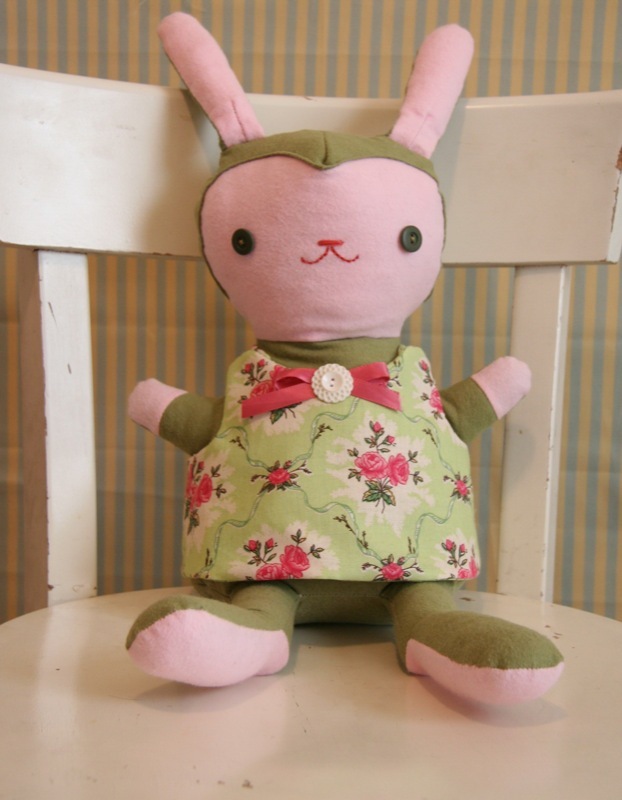 !….love the kitty & bunny paterns my daughter & I will be sewing them soon. Love the bunnies! 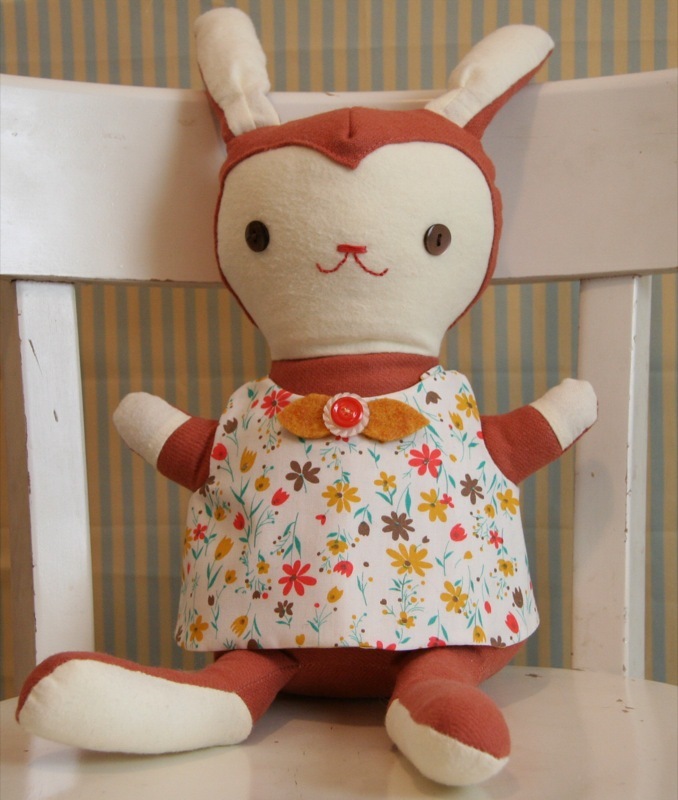 we love bunnies at lapin & Me! Good Lord, those are the CUTEST! GASP! I’m all about Pearl, she’s so retro and brown:-) I think these are going to be my desktop picture. AAAAWW!! Your stuff is really lovely – enjoying your blog a lot!